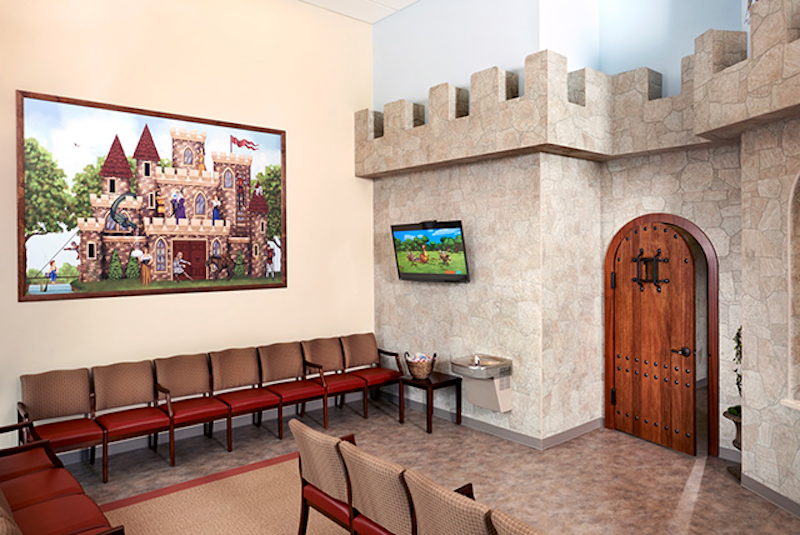 PM Pediatrics, Paramus is a pediatric urgent care center serving the children, adolescents and young adults in Paramus with extended hours, making them a great option 7 days a week when your child's primary care office may not be open. You can find this clinic located at 160 N Rte 17 and patients can walk in to see them today from 12:00pm to 11:59pm (last verified on 2018-08-11). Recognized favorably amongst their patients, PM Pediatrics, Paramus has an average rating of 4.9 stars out of 5 based on 612 total ratings. Nationally, most pediatric urgent care patients see average wait times between 15-30 minutes before being seen by a provider, which should be expected at PM Pediatrics, Paramus as well. Very knowledgeable and explained everything so well. Made my daughter feel comfortable. We are so pleased with PM pediatrics. Worth it, I would return. The wait was quick, the doctor was knowledgeable and personable. She answered all of our questions. The X-ray tech was great and had a good sense of humor and bedside manner. I went in for my daughter as she needed to get an X-ray for a possible fracture and we were immediately taken in. Staff was very quick and attentive. Was in and out in no time. Really a great experience and the X-Ray technician was extremely gentle and patient. The experience was great we were kept informed every step of the way it was our first time going there and they really took care of my sons ankle with care. I have brought my children here several times before, and have recommended your practice to many friends and family. This evening I had a very negative experience at the front desk. I arrived promptly and checked myself in at exactly my appt time, 7:20. By 8:05, my two sick children were exhausted and the waiting room was full. I had still not been addressed or greeted by the staff member at the front desk. At this point the online site said that my son was ready to be seen. I therefore approached the staff member at the front desk, and asked if I could pay my co pay. She informed me that she needed to check me in and that I needed to sit didn because there was still a wait. After discussing with her how I had waited over 40 min past my appointment time and still was not even acknowledged or checked in, she walked away from the front desk and didn’t return for several minutes. I finally asked to speak with another staff member who promptly checked me in, and I was brought to the back and seen within minutes. The nurses and doctors here are wonderful. It is a shame that the front desk was so poorly run by this one individual this evening. Acknowledging those that walk in, updating them on wait times, and being efficient could have prevented this. I witnessed many patients leaving tonight for similar reasons. Short wait time, clean & inviting office, friendly & happy staff. First time taking my child there & had an amazing experience. I have been taking my children here for about a year. The doctors have always been warm and welcoming. The doctors have always been incredibly insightful and knowledge on there diagnoses. I am incredibly grateful to have someplace I trust to take my children when there regular doctor is not available. Everything was great except that when the assistant asked if my son swallows pills or takes liquid meds, she clearly didn’t pay attention to my answer. I picked up the prescription and when I got home and opened it, it was in pill form instead of liquid. I called the pharmacy immediately and they had closed. My son now has to wait 18 hours to get medication because of the assistant’s mistake. Clean, warm, caring place! I wish they did primary care too! I’m a Mom of 2 and 3 year olds. Very friendly, professional and great customer service from the medical assistant at the front desk, the medical assistant in the room and the Physician assistant. Everyone was great. It was our first time going there. I loved the facility. Excellent. Got in quick. Very thorough exam. We are two for two with this office. Highly recommend. Both the nurse and doctor were wonderful, sensitive, responsive and knowledgeable. I am so happy with the care I receive at this location. It is a great alternative when the pediatrician's office is closed. Spotless office. Very little wait time to see the doctor. Friendly, caring staff. Doctor addressed all my concerns. That’s why I keep coming back! Everyone was so nice and loved that they administer the first dose of medicine. Such a great urgent care for kids! We had an ongoing stomach issue and, after 4 days of school missed, decided to come in to see what the doctor here could figure out. The online appointment system worked great, and the reception staff was very friendly and welcoming. The technician arrived to take vitals and then the PA came in to assess our situation. My son got a strep test and blood drawn efficiently and with an ice pop incentive! All the staff were great, skilled, friendly and efficient. We were very pleased with our experience and will come back!! The care and treatment my children have received here couldn’t be better. Top notch.